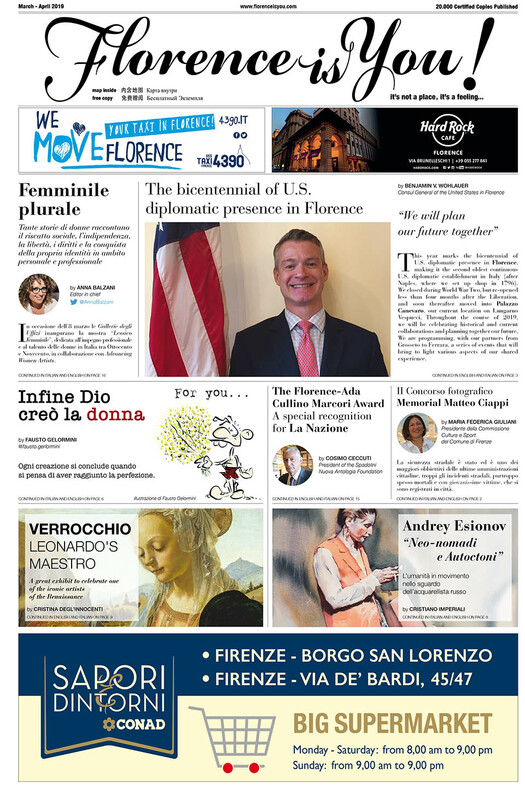 Il bello dell’Italia - Twenty-five foreign journalists talk about the positive aspects of Italy - Florence is You! If a person doesn’t believe in themselves, they won’t go any further. If a country doesn’t believe in its own powers, it won’t have a better destiny. Believing in your own capacity is always fundamental in order progress. Often enough, Italians don’t believe in their own country’s capacities. Wrong!!! You need to raise your heads and finally understand that no matter what difficulties may came in your path, you also have many qualities. 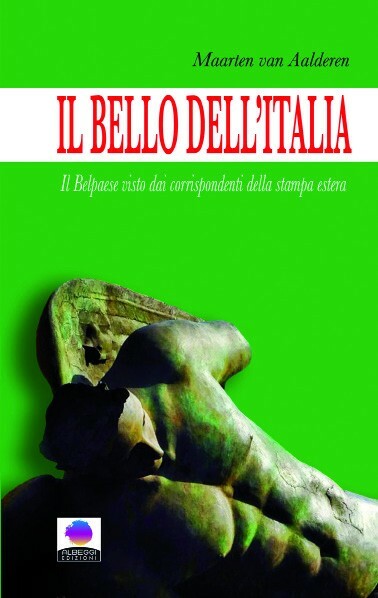 My book Il bello dell’Italia is intended as an encouragement to the people who are no longer satisfied. For this book I have interviewed 25 journalists from 25 different countries, 13 men and 12 women, from all over the world, who live and work in Italy and who talk about the positive aspects of this country. There is a little something about everything: characteristics of Italians, territories, organizations, politics and so much more. All this so that the Italian reader can think that there is still something to be proud of. Because it is them, the foreigner correspondents, who determine your imagine abroad. In the conducted interviews there are many aspects of great interest. An Algerian journalist for example, speaks about the generous hospitality that Italians show towards immigrants and voluntary work. An Egyptian correspondent speaks about the profound connection that the Arabic world, especially from Egypt feels towards Italy. There are also completely different arguments. Israeli journalist, challenges all people who say that the educational system is wrongly organized: she can see progresses being made in the Italian institutions. And if you read in the newspapers that the Chinese are thinking about buying AC Milan, then the interview with a Chinese journalist can be very interesting when she explains why this great passion of the Chinese people for this team. The Greek journalist points out from her point, how the thoughts of Enrico Berlinguer are still relevant, explaining how the new Greek prime minister Tsipras is his heir. The French journalist is convinced that thanks to Matteo Renzi, Italy has conquered a more important role in the UE. Inside this book you can discover an important Florentine touch. Se una persona non crede in se stessa, non andrà da nessuna parte. Se un paese non crede in se stesso, non avrà un destino migliore. Credere nella propria capacità è sempre fondamentale per andare avanti. Troppo spesso gli italiani non credono nelle capacità del proprio paese. Male!!!! Bisogna che alziate la testa e che capiate finalmente che, malgrado le difficoltà che indubbiamente ci sono, avete molte qualità. Il mio libro Il bello dell’Italia èinteso come incoraggiamento per un popolo troppo disfattista. Ho intervistato in questo libro 25 giornalisti di 25 paesi diversi, 13 donne e 12 uomini, di tutto il mondo, che vivono a lavorano in Italia e che parlano di aspetti positivi dell’Italia. C’è di tutto: caratteristiche degli italiani, territori, organizzazioni, qualche politico e altro ancora. Tutto questo affinché il lettore italiano pensi alla fine che c’è qualcosa di cui andare fiero. Perché proprio loro, i corrispondenti esteri, sono quelli che determinano la vostra immagine all’estero. Ci sono nelle interviste molti aspetti di grande attualità. La giornalista algerina parla per esempio della generosa ospitalità degli italiani nei confronti degli immigrati e del grande lavoro di volontariato. Un corrispondente egiziano parla del profondo legame che il mondo arabo e in particolare l’Egitto ha sempre sentito con l’Italia. Ma ci sono anche argomenti completamente diversi. La giornalista israeliana sfida tutte le persone che dicono che la scuola va male: lei vede infatti dei progressi nell’istruzione italiana. E se leggete nei giornali che i cinesi stanno pensando di comprare il Milan, allora è interessante l’intervista al giornalista cinese, che spiega il perché della grande passione del popolo cinese per questa squadra. Il giornalista greco, da parte sua, mette in evidenza come il pensiero di Enrico Berlinguer sia ancora attuale, spiegando perché il nuovo premier greco Tsipras è un suo erede. Il giornalista francese, poi, èconvinto che grazie al premier Renzi l’Italia abbia acquistato un ruolo più importante nell’UE. Un importante tocco fiorentino, quindi, all’interno di questo libro.